First Class Wasp nest removal service covering your Area. We have professional Wasp Technicians to respond to your enquiry with a fast and efficient service from Start to Finish. If you are looking for a fully guaranteed Wasp control service with a fixed cost Wasp nest removal please complete our online form. We have evening and weekend appointments available. 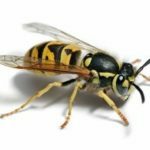 How much does Wasp Removal cost? Wasp Nest treatments can vary in cost depending on the size of the nest and where it is located. If the nest is difficult to access or special equipment needs to be brought in for height restrictions then the cost would be higher. There are also variable prices depending if the Technician offers a guaranteed service. This would include coming back at no charge if the Wasps return to the same nest after treatment. A fully qualified company carrying all the correct insurance and Pest memberships would usually charge more. Expect Costs between £50 and £100. Do Wasps come back to the same nest each year? Wasps donot come backto their old nests, you can remove a wasp nest and keep it without worry that waspswill returnto reclaim it. New queens hibernate over the winter and start new nests eachspring. How many Wasps are in an average nest? The average Nest holds between 3-6000 individuals in the peak of summer. This amount will vary as the wasp nest gets bigger from spring to late September. The best approach is to try and get the nest treated sooner rather than later. Should I go near a Wasp nest? 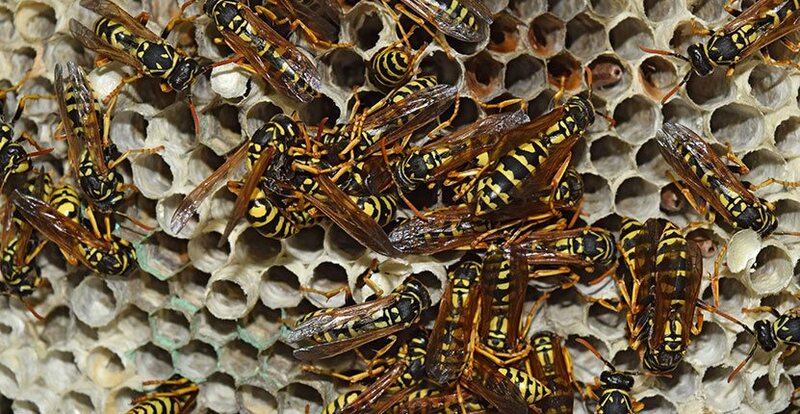 It is important that you do not go near a live wasp nest as Wasps Attack if they feel threatened in any way they will sting most times more than once, this could be dangers so it is important that you leave it to the experts. How would you treat a Wasp sting? Wash the affected area with soap and water a paste made of baking soda is also good to treat the wound. Also apple cider vinegar. Keep the area clean and dry to help stop infection. How do you get rid of Wasps nests? Do not try and get rid of a wasp yourself you go near a wasp nest call a professional wasp technician. Yes Wasps can be very aggressive especially if you get near a live Nest. Wasps can sting and more than once if you get a lot stinging you at once this could be very dangerous, 30 or more wasp sting could kill you. No Wasp do not die when they sting you and can carry on stinging you. What’s the lifespan of a Wasp? 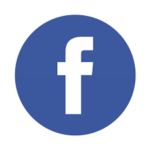 No Pest Control Work will ever be undertaken without prior agreement with the customer.